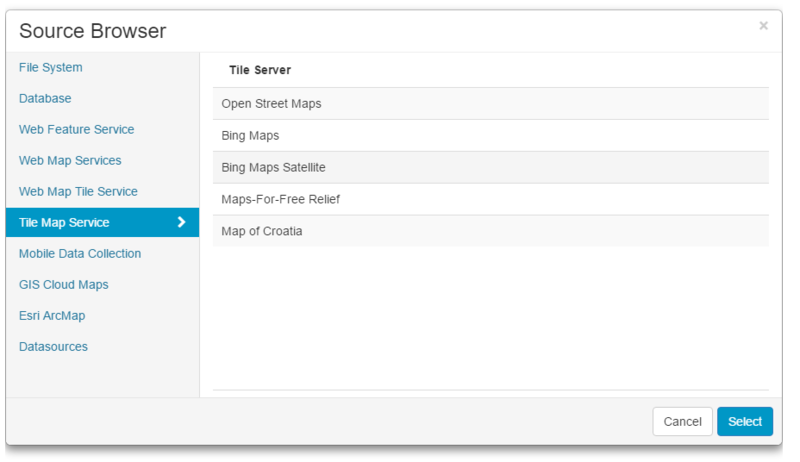 You can use Tile Map Service to add more background maps e.g Open Street Maps, Bing. Contact us for the more info about pricing. 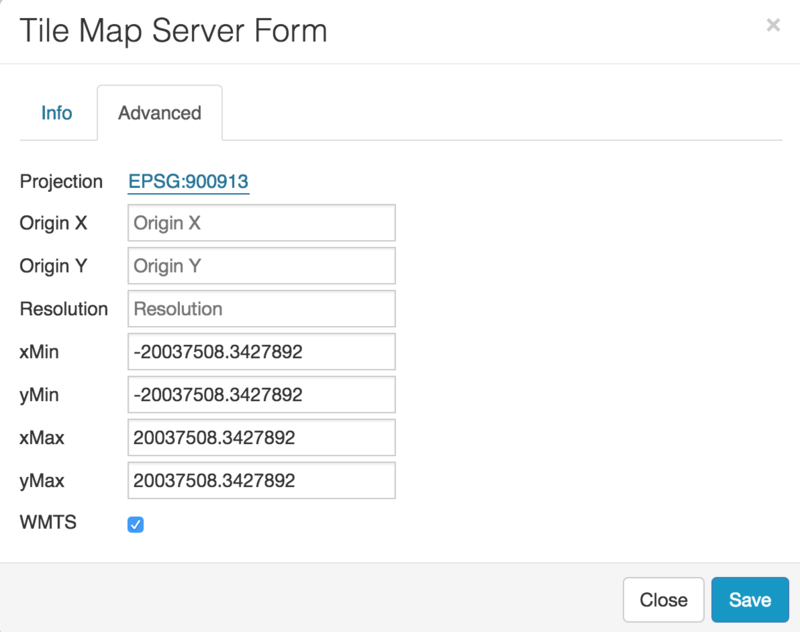 Select Tile Map Service in the Source Browser. Note: System will ask you to change the map projection into the web Mercator projection. This is a standard projection which is used by basemap providers (Bing, Mapbox, Open Street map). Note that basemaps can’t be reprojected into a different projection. If you want to set other map projection, first remove all basemaps and then browse desired projection under the Map Properties. It is possible to add a TMS layer provided by third party side and display it as a layer in GIS Cloud. 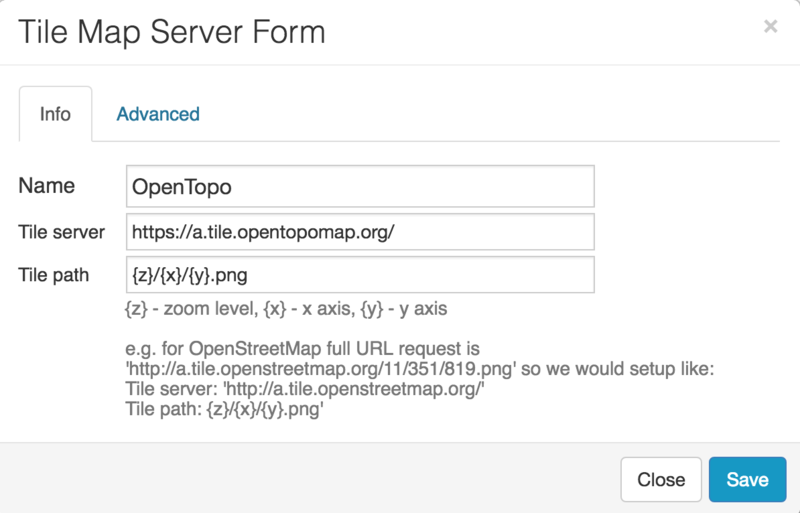 Here you can find instructions on how to display OpenTopo map as TMS. Click Add TMS in the Source Browser. 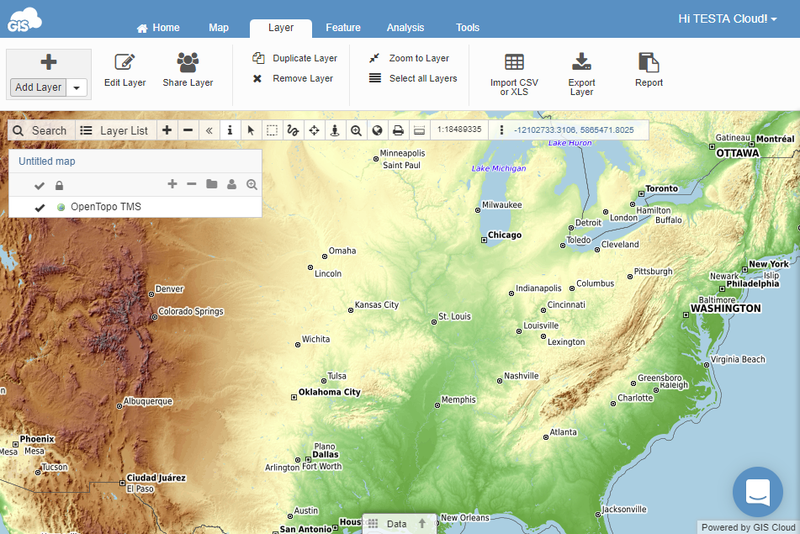 To add the layer to the map open Add Layer dialog, select Tile Map Service from the left side, select the layer and click Save.